Death Angel have always stayed true to their roots, there are no frills and gimmicks needed when there is the raw power available. What sets this band apart from their peers is their ability to combine this blistering raw energy with melodies that ooze hooks and memorability. This year has Death Angel set to release the follow up to their last album, the superb ‘The Evil Divide’ with the murderously named ‘Humanicide’. As an album ‘Humanicide’ is much more aggressive than its predecessor, Death Angel seem vexed and they are not afraid to show it with this latest release. For a vocalist, Mark Osegueda has always been hugely underrated and once again, his performance on this album is solid and unique, creating an album which is undeniably classic Death Angel; tracks such as ‘The Pack’, ‘I Came For Blood’ and the title track are both blisteringly visceral and powerful, pounding with heaviness and social observations that are coupled with a large rebellious streak which make this album nothing short of superb. 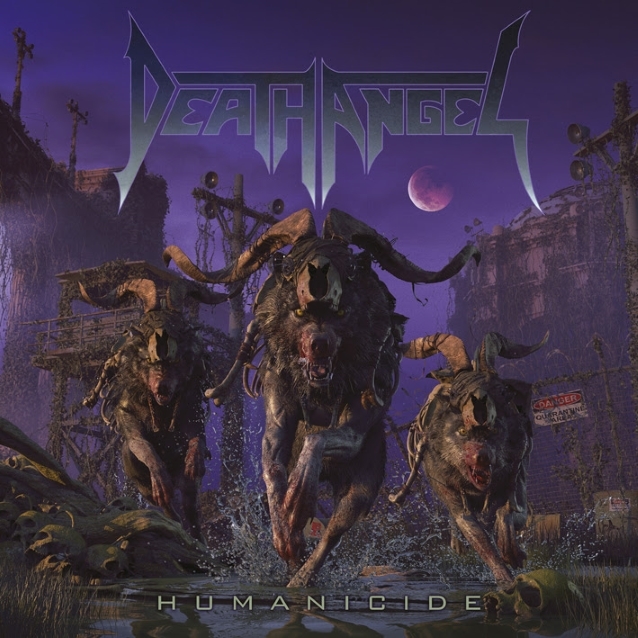 ‘Humanicide’ continues Death Angel’s purple patch, it was always going to be a tall order to compete with the band’s previous effort, but with this album, Death Angel easily equal it. Recent years have seen thrash bands re-emerge, with many releasing albums of their career and ‘Humanicide’ shows that not only can Death Angel take their competition down to the wire, they can surpass them and come out unbloodied.